Location analytics is the business intelligence (BI) process, which generates insights from geographic or location-based business data. It enables companies and organizations from across industries to merge spatial data with conventional BI data, which is collected using various data sources such as sensors and cameras, mobile devices, global positioning systems (GPS), and social media channels. In conjunction with a Geographic Information System (GIS), location analytics interprets and analyzes information with a visual representation. The system is implemented to historical geographical data as well as real time geographical data. Location-based analytics help in contextualizing of location-centric data enabling meaningful insights to be derived. In addition to this, the strategic business decisions can also be made using this derived data. The location analytics solutions market is gaining momentum over the past few years. The advent of Internet of Things (IoT) and the burgeoning large volume of data through connected devices are leading to the increased use of location analytics solutions. By leveraging real-time intelligence on connected devices, location analytics vendors have enabled the running of location analytics solutions at a minimal cost. Location analytics involves interpreting and analyzing information in conjunction with its location or geographical component. It involves analyzing both real-time data and historic data. The location analytics market can be segmented by location type, application, service, vertical, component, software, deployment model, and region. In terms of component, services is expected to exhibit the highest growth rate; while the sub-segment of data maintenance and creation services is expected to display the highest demand. The assessment of the vendor landscape is valuable for readers as analysts have not only distinguished the top vendors but also profiled them in detail. The SWOT analysis presented gives a clear understanding of each company’s strengths, weakness, opportunities, and threats during the forecast period ending in 2025. The location analytics market is rising rapidly and is pushed by trends such as increased use of market intelligence information for business growth, the evolution of IoT, and increasing volume of data across industry verticals. The use of real-time location analytics fulfills regulatory requirements of industry verticals such as retail and consumer goods, government and defense, energy and utilities, healthcare, and manufacturing. However, the market faces certain growth impediments as well. Concerns about data security and data privacy are the foremost factors holding back the market’s growth. Moreover, existing players are facing growth challenges with the increasing number of players offering location analytics tools and services. In addition, issues pertaining to low connectivity, data integration, and inadequate expertise in organizations are impeding this market’s growth. High initial costs for the setup of location analytics solutions and low returns on investments are also challenging the growth of the location analytics market. Nevertheless, the high adoption of location analytics solutions in small and medium businesses (SMBs) will present growth opportunities for vendors in this marketplace. 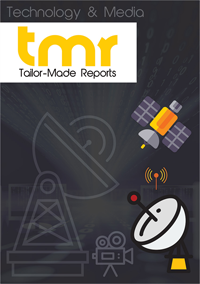 The report analyzes the global location analytics market in terms of its geographical reach. This market can be divided into the regional segments of North America, Asia Pacific, Europe, Latin America, and the Middle East and Africa. North America stands as a significant market in the global location analytics market. Asia Pacific is expected to emerge as a significant market due to the explosion of data through IoT devices and the ceaseless use of smart devices. Among the key vendors in the global location analytics market include SAS Institute Inc., ESRI (Environmental Systems Research Institute), Pitney Bowes, IBM Corporation, Cisco Systems, SAP SE, Tibco Software Inc., Oracle Corporation, Microsoft Corporation, Galigeo, and Alteryx Inc.
Key vendors in this market are focused on strategic alliances and partnerships for expanding their customer base and to enhance customer experience. For example, in 2016, IBM entered into a collaboration with Mapbox, which is one of the leading companies for providing mapping platform solutions for developers. Development of innovative products is also what key players are focused on to gain a competitive advantage in this market space. For instance, in 2016, SAP launched its SAP Geographical Framework using which organizations can access geographic information from geographic information system (GIS) in order to enrich business applications.